Work-In-Progress. 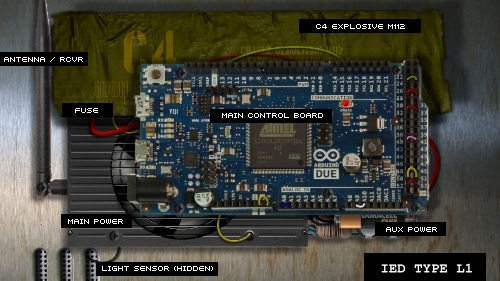 This is the Stand-Alone Module of my Explosives & EOD Addon from my SpookWarCom Project. As most EOD stuff is just a BIP (Blow In Place); I wanted to do something a little closer to the fictional side, and have a system where you have to know what you are doing and solve a step-by-step procedure to disarm the explosive. I will be including my IMS "BombBuddy" Ion-Mobility-Spectrometer to detect both in-game mines & explosives, and all the IEDs included in this amazing mod. I do not like the "I see a mine!" in the game. So what? If you see it, where? When you have all the nonsensical "helpers" turned off, he still shouts out he spots something. This is silly. So I'm building my own detector that will 'sniff' the molecules in the air to detect various chemicals and the additives in explosive materials. It will only display a readout of various indicators and a vague 'strength' signal (parts-per-million). I also have in production several, ok numerous, oh wait... no, over 100+ IEDs coming to put into your missions that all will have unique ways of disarming! I have 10 prototyes each with 10+ levels of disarming procedures with numerous types having a complex muti-step process to disarm. Total of 100-200 Bombs! Memorizing how to disarm will be virtually impossible do to with the sheer vast number of randomly generated IEDs. If you do not go through the training process and do not understand what you are doing, kaboom! No more just clicking the X to disarm. You will need the right tools, and click exactly on the part required. Several types will even have anti-handling devices. Motion sensors, light sensors, etc. complete with random timers and other surprises that I won't reveal here. Explosives will be C4, Mines, Chemical, Radioactive, etc. ...And many more coming SOON!!! Glad to see this come back. It was one of my favorite parts of SpookWar. Could this get rid of Ai`s "spotted a mine" and acctually make them need to use EOD,if put in missions? That would make things different ,and more real than any other game I heard of.To make the ai not see/call out mines,has been a problem in this game. I never use AI, so there are no current plans to address that. Maybe further down the road. Have you tried adjusting your Game Settings? If that's something people want, I can make a note of it, but it won't be included until this project is closer to v1. Says "a different type of some parameters is required" when i place the module down. I wouldn't be surprised if this is broken, like my other stuff. It worked last week. This doesn't spawn IEDs though. Not yet anyway. It spawns suicide bombers, minefields, and if you want to disarm a bomb-device, you'll have to place what you want and name it per the instructions in the Docs folder. Oh ok. Makes sense then :D, still a gr8 mod, looking forward to updates! the suicidebomber.sqf is giving me an error saying "Undefined variable in expression vqi_fuse_sbomber_loop"
Thanks for the update. It'll be fixed in the next update. oshit waddup! 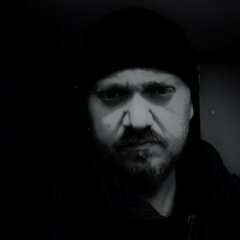 Von Quest is back! Possibly. Undecided right now. I'm leaning towards having the entire package (all projects called SpookWarCom) on Steam. And leaving the stand-alones on Armaholic and Dropbox. We'll be doing extensive testing soon since we're working with EODs at this time, I will keep you posted about our progress. The test will be hopefully within the week and we should have some comparable results between the two mods, or even if they work well together in combination of the EODs IED's and the defusal method that you have proposed and developed. I don't know if you are still deciding this, but I am hosting a public server where we only use steam mods as it is super easy for people to join. 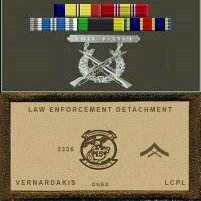 Our clan server we use armaholic mods, but if you could at-least put this standalone mod on steam, I would be super appreciative and all my players who love to play EOD. Hello, excuse my bad english. And if I'm impractical on blogs, I hope to write here is fine. I tried the "modules" made by Mr. Von Quest, very beautiful. I followed the instructions of the blog but does not work on my pc frogs, and f.u.s.e. after putting respectively the HMS Proteus terminal and VQI eod. I see others have had the same problems, is there any solution or someone has figured out what may depend? Thanks in advance to anyone who wants to answer. It would be nice to run them. 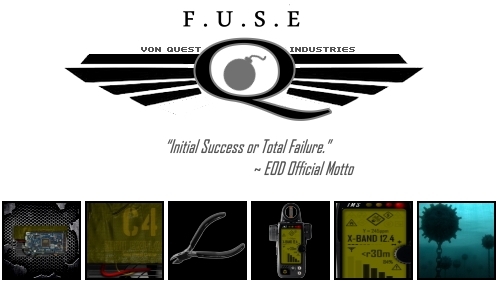 Regarding the "module" of explosives I had read that Mr. V. Quest was actually thinking about the future in the activation and disarmament of nuclear and biological devices, chemical e.o.d. and dirty bombs ??? It would be a fantastic addition if it is really his intention. in that case, may I ask if anyone knows, in the future is in his plans a further development of this direction too? There is something about arma3 in CBRN operations, combat and military operations in contaminated areas, preparation and use of CBRN weapons or anything like that? I have not found anything for now, but find something like this, (as it was to find the additions of Mr. V. Quest) would be considerable. I think all these things seriously make arma3 even more amazing. Thanks. Keep in mind this project is fictional. I only have 1 type of (movie-style) Explosive to disarm right now. What exactly are you having trouble with? Can you be more specific? Are you reading all info in the Docs Folder? And as for CBRN, I'll be expanding into some more extreme-type stuff to disarm when I get further along. Right now this EOD Project is a very low priority. I don't know when I'll be working more on this. Currently I'm focused on FROGS & CORE projects (and an unreleased Submarine project). Thank you for reply! The projects that you have written are very interesting. I hope to see them soon! I've read the instructions and tried many times to search on internet for similar problems and solutions. On f.u.s.e. I resolved, in the object name all times wrote vqi_eod_1 forgetting "bomb". now it works! Very sorry for the simple mistake. I just realized, this is the section of f.u.s.e. not frogs. Sorry for the previous message. I guess I'm out of the conversation. Should I write the other side and remove the message here, now that I've solved the problem with f.u.s.e. ?